Hello guys. Here we gonna discuss some of the coolest IT certifications that every programmer wishes to achieve. While reading the title here , a picture of a hall or big class room with so many candidates sitting with their answer-sheets may come to mind. But these exams which we are going to discuss here are not of that kind. These exams appear more likely to be competitions where you will be put in brilliant labs and will be given assignments to complete within some time limit. You have to face real world challenges and perform some brain storming tasks to be one among the few achievers of these certifications of the year. Sounds cool. Isn’t it? Well, today we have brought 8 coolest IT certification exams for you to crack. This exam is a practical performance based exam. Candidates perform a number of routine system administration tasks and are evaluated on whether they have met specific objective criteria. Performance-based testing means that candidates must perform tasks similar to what they must perform on the job. 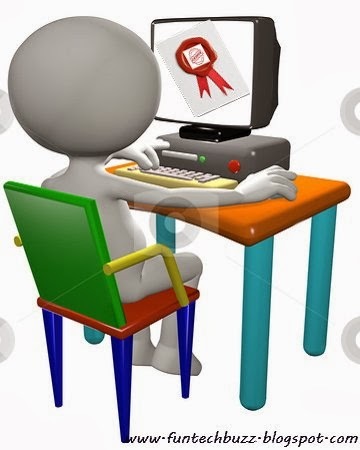 Here candidates are given tasks like, Archive, compress, unpack, and uncompress files using tar, star, gzip, and bzip2,Create and edit text files,Create, delete, copy, and move files and directories,Create hard and soft links, Boot, reboot, and shut down a system normally, Diagnose and correct file permission problems etc without any assistance. All this can be made possible only through practice. For more detail visit their official site here. Candidates must have earned their RHCSA certification to be eligible to become an RHCE. Exam results are emailed within 3 business days following the exam. And to appear this exam you have to spend Rs 10000 INR only. This is also one of the coolest exams to be discussed. The main thing here is this exam is carried out in two parts. The first part of which may make you feel bored for a while but it has also come with its most interesting part as the second half where you have to deal with several operating systems like windows , backtrack, fedora etc. Its a two day lab where you will be using sniffers,scanners and metasploits to get your job done. Its a dream of many to be known as a CCAr as the certification itself has gained a huge demand. Ifthe cisco team verifies you as worthy of appearing this exam then only you will be allowed to appear it by paying USD 11250. Its a live board review.after a few hours of talk and solving some brain storming problems you can be a proud CCAr. If you want to be a certified iOS/blackberry/android developer then this is the best way to be one. Simply write you application,browse through the source code, explain the general structure of major application modules. Then you will be asked by the supervisor to change your application. A real world problem is to be dealt with. And then you are done. One interesting thing is that this exam is free and after passing it you will get a free T-shirt. But you should know that today also there are very few IPv6 certified geeks in the world. The reason behind it is that during the certification process you need to configure and test complex IPv6 scenarios like setup an SMPT server and read an email delivered over IPv6,configure a name server and configure AAAA entry for your domain. NB:All these things needs to be done on your own server or computer. This one is a real cool exam. In order to get this one needs a jailbroken iPhone or iPad of at least iOS 5.1.1. they will give you an iOS application, you install that app on your iPhone and you are expected to find all the vulnerabilities in 6 hours. One exam that tops the race of all IT Certifications is this one. The easiest one of all the above exams. Actually its a remote lab experience. You will be given 24 hours to break through couple of operating systems using your gathered informations,buffer overflow,password attacks and web application hacking skills. This one is an open test and an open challenge also. You can even drink within that allotted hours. In their more advanced tests you will be provided with more and more complex tasks and 72 hrs to complete them all which also includes your sleeping hours. Now thing thing really sounds crazy. also read: How to fix WINDOWS 7 NOT GENUINE problem? Thanks for listing out this most popular IT certifications in the world as this would give one an idea of which certification to choose for there career or could have great career opportunities.